Peter Bowen, a Montanan, writes of the West. Cowboy, hunting and fishing guide, folksinger, poet, essayist, and novelist, he’s written the picaresque Yellowstone Kelly historical novels, humor columns and essays on blood sport as Coyote Jack, and the Gabriel Du Pré mysteries, in part because “the Métis are a great people, a wonderful people, and not many Americans know anything about them. Peter Bowen lives in Montana. He is a cowboy, hunting and fishing guide, folksinger, poet, essayist, and novelist. He is the creator of 'Gabriel Du Pré', master fiddler and occasional unofficial deputy in Montana. 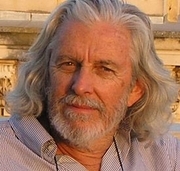 Peter Bowen is currently considered a "single author." If one or more works are by a distinct, homonymous authors, go ahead and split the author. Peter Bowen is composed of 2 names. You can examine and separate out names.